Reflections and Ruminations: Pentecost - a celebration of God's housewarming of our hearts. Pentecost - a celebration of God's housewarming of our hearts. The Catholic Church celebrated Pentecost yesterday. 50 days after the Easter event, coinciding with the Jewish feast of weeks or Shavuot, 50 days after the Passover. For us Catholics, it is significant in many ways. It is the end of our liturgical time known as Eastertide, after which we go back into Ordinary Time or Eventide. It is also known as the birthday of the Church, where we celebrate the fact that it is with the Holy Spirit’s powerful outpouring on the gathered apostles in that locked room, a fearlessness that was hitherto unknown gave them the ability to start the Christian mission and speak the Word with a courage only God could give. I preached one homily yesterday, and because I only preach one sermon each Sunday, each time I step on the ambo to proclaim the Word and to preach it, I know that it is probably the only time I get to bring God’s word into the hearts of the people gathered in prayer. Preachers of repeated sermons/homilies each Sunday can at least have their second or third takes and improve where they believed that they could have done better in their previous deliveries. Those who heard me preach yesterday would have (hopefully) remembered that I spoke with scriptural references to the fact that at the heart of Pentecost is the celebration not just of the life of the Church, but also of an incredible revelation by Jesus himself – that God, the creator of the universe, has a plan to make a home in each one of us. He wants to dwell in our hearts. And if we don’t take this plan of God seriously enough, we will also easily gloss over the fact that our response to holiness has to incorporate and facilitate this Holy and Divine guest. He is not just a guest, he is a dweller, and perhaps we have great problems with this. In our current day understanding, dwellers are hardly welcome, let alone given any chance to set up anything that is close to the borders of our homes. In my tiredness after an energized (or at least what I felt was one) celebration of the Sunday Eucharist, I had to take a rest. I am only now just about emerging from my severe bout of jet lag, and perhaps it was a combination of that and a disturbed conscience that got me waking to a prompting that I could have made the homily that I gave a kicker at the very end. I do not believe in coincidences, and this is by no means a coincidence. 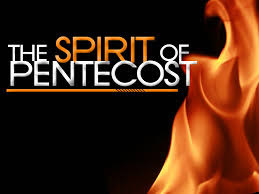 What came up from my subconscious was a clear bringing up of something that I had used in my past preaching, maybe not about Pentecost, but definitely about our need to give God room in our hearts. Why it never came up in my thoughts during the lengthy time that I devoted to craft my homily, I will never know. But what I do know is that it was not of my doing that this memory came back. I have no possibility of preaching this a second time, so I thought that I could use today’s blog to write the conclusion to what I had originally preached, making this a strange epilogue to something that was already publically concluded, but only accessible to a readership who wasn’t even there to listen to the first preaching. This epilogue is largely made up of a quote from a Sr. Magaret Halaska, a Franciscan nun, who wrote a very poignant poem entitled Covenant quite some time back. I tried looking for more information about the author herself, but there seems to be very little about her. Could her haunting and significant words of her poem, coming to me so clearly, be a silent prompting for me to pray for her? I do not for one moment doubt its possibility. And if it is, could my readers today also say a prayer for Sr Halaska as well? From the looks of it, it does appear that she has since passed away. Well, whether you are in the Church Militant (alive on this earth), the Church Suffering (undergoing purification in Purgatory) or Church Triumphant (already in a blessed and eternal existence in heaven), St Halaska, you will be prayed for. As a second ending to my homily at yesterday’s Mass, I would have read her short masterpiece. May these words impact you in your preparations to give God a room in your hearts too. I really don’t need it that much. On surface, the message is "simple" – we are all called to share in His life and to evangelize and make disciples…being fruitful… however, your post this week made me rethink. And I remembered this beautiful prayer from Cardinal Newman, a daily prayer of the sisters of Mother Teresa, which we also use in our weekly bible video lessons with Jean Vannier. That light, O Jesus, will be all from you; none of it will be mine. Let me thus praise you in the way which you love best, by shining on those around me. Thank You Fr Luke, keeping you & Sr. Halaska in prayers.